Fabio Barluzzi is an architect graduated with honours at the University of Florence in 1994. Before his degree he spent four months in Kevin Roche Office (New Haven, Massachusetts), analyzing Roche’s approach to office space design. 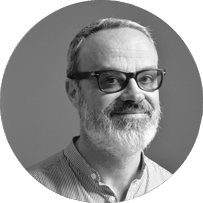 After several years’ experience in residential and retail architecture, in 2009 he co-founded Metrooffice Architecture (www.metrooffice.it) with Barbara Ponticelli. The Studio is involved in architecture, office space design, production building and retail projects with the most important fashion companies, their activity also includes the design unique and tailor made furniture. They have worked in England, France and Sweden. They have participated in and been awarded with several International Architecture Competition prizes. Fabio is currently teaching in the Interior Design Studio at Kent State University in Florence.